There is something for everyone at Clemyjontri Playground, as this space is perfectly suited for children of all ability levels. 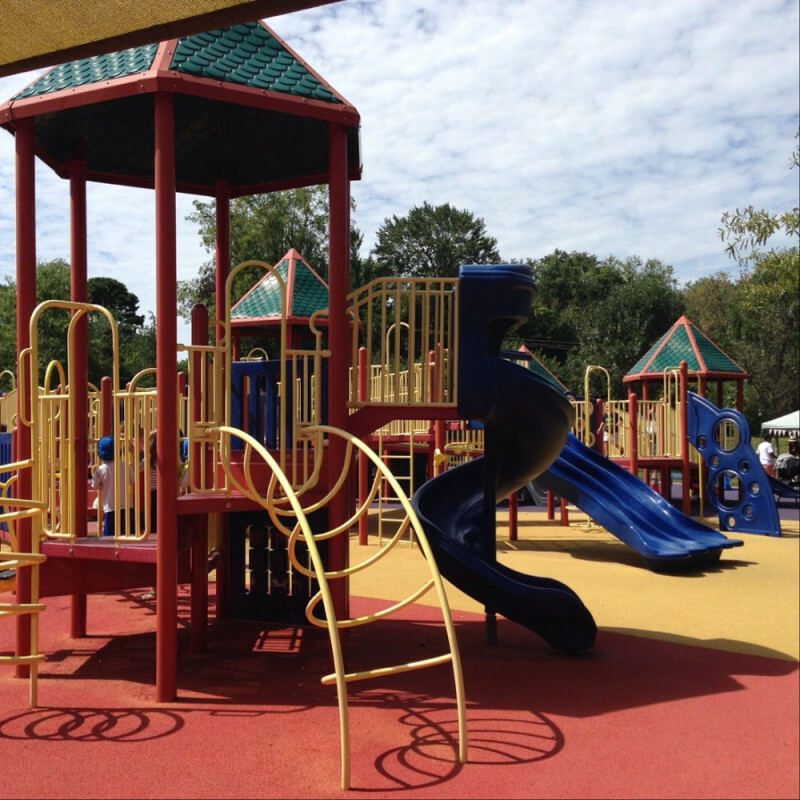 The playground features swings with higher backs to provide more support for those who need it, ramps to all of the elevated play structures, and bright and wide pathways to all of the equipment that is easy for anyone to maneuver. The mini track can host competitive races, the beams can be used to challenge balance and depth perception, and playhouses offer opportunities for group play and social interaction. As a great bonus, the variety of vibrant colors that make up the ground surface create an exciting and welcoming atmosphere the minute you arrive that encourages you to cut loose and have some serious fun.